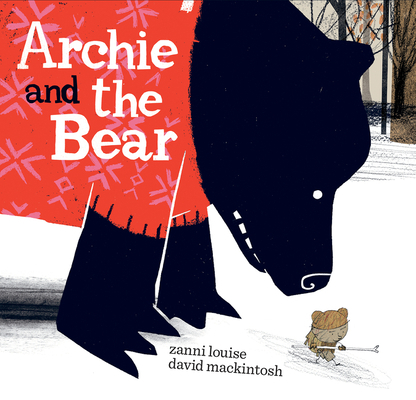 Despite big differences, a gap between friends can be bridged by sharing in this boldly illustrated tale of a boy who says he's a bear and a bear who says he's a boy. A very small boy in a bear suit and a very large bear in a boy suit share the fun of pretending, adventuring in the woods, and a honey sandwich next to a warm fire on a cold day. Which is really the boy, and which is the bear? It doesn't matter—you are who you say you are. With minimal text and bold, dramatic illustrations, this picture book offers a thought-provoking take on identity and brings a fresh vision to the theme of finding connections hidden behind visual differences. Zanni Louise has been a storyteller since childhood. It wasn’t until she had her first child that she pursued a grown-up career as an author. She lives in Australia with her family and a cat named Mary Feather Flower. Visit her online at zannilouise.com and on Twitter @zannilouise.